Mine was arrived, then try to use with REW, but I have problem that I can't adjust volume slider in Windows 10. It's stuck at +24.0 Db. Last Edit: 1 year 3 months ago by tjstyle. The same issue also for me. 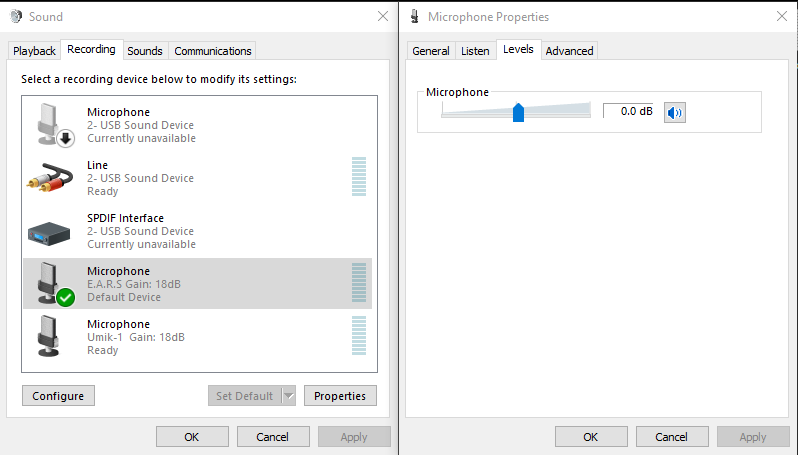 The gain of the jig is set from the plant at 12 dB and the MIC level on windows 10 is locked. I'll try the suggested procedure and i'll report the result. Same issue here in W7 and W10. 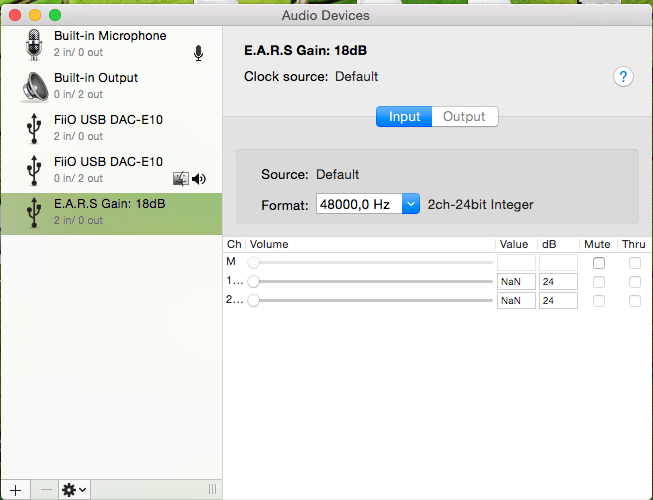 I tried the solution with the switches, it changed the 12db gain in the device name to 18. The problem still persist. I am unable to change the 24dB gain in the levels tab. Last Edit: 1 year 3 months ago by Svenborg. I have the same problem with my macbook air. Pulling the sliders and changing the numbers doesn't work. It keeps changing itself to 24dB gain. I can't do the SPL Reading Calibration for proper measurements. Dear all, I can confirm the procedure posted by John Reekie. After the procedure i can move the slider of the level, now is set to 0.0. I was try john.reekie suggestion, but still no luck. I tested john.reekie solution again and it didn't work. I then decided to try all sorts of combinations since mrichard got it working. I unplugged and re-plugged my device several times with the switches in different positions. 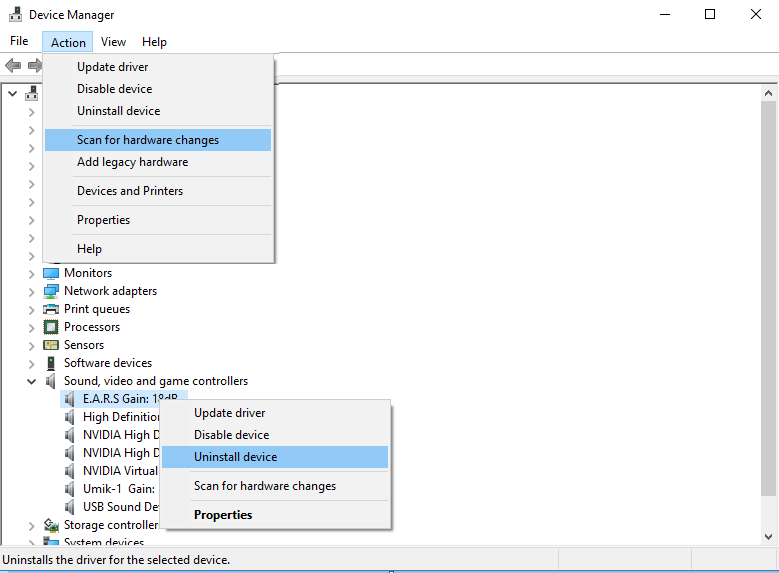 I made sure to uninstall the driver for ears in device manager and then scan for hardware changes. I gave up and went back to the combination for 18dB. It is now working and i am able to change the gain in Windows 10. Thanks you Svenborg, quick trying to set different switch, and re-plugging. 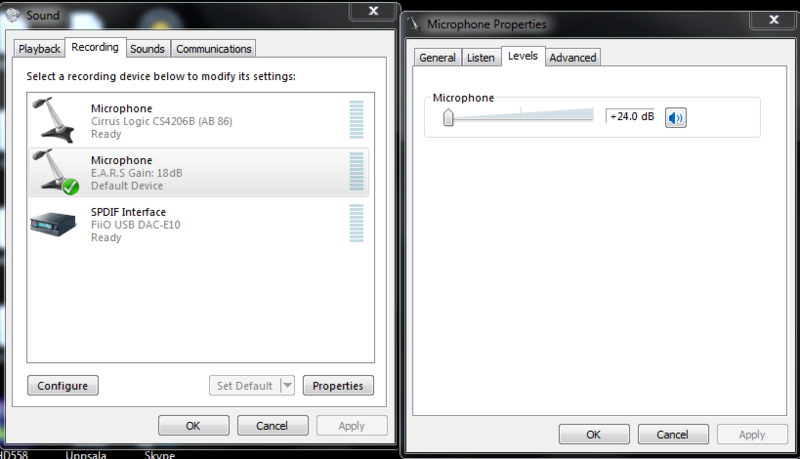 finally I can set the level to 0.0 db. Also thanks for john.reekie, mrichard for the suggestion. It's very strange problem, but I'm happy it's finally solved. Under Windows, all the above, but you'll need to make sure that you tell Windows to reinstall the drivers. You'll need to followup the steps from "Svenborg" to make sure Windows reinstall the drivers.